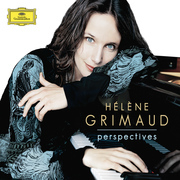 Pianist Hélène Grimaud new Deutsche Grammophon album Memory explores the nature of recollection through a series of exquisite pianistic miniatures, with a choice of repertoire embracing everything from impressionistic reveries by Chopin and Debussy to the timeless, folk-like melodies of Valentin Silvestrov. 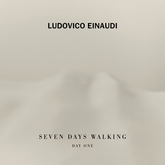 The recording addresses music's unique ability to bring images of the past back to life in the present moment, to conjure up vivid evocations of time and place. Memory and music make perfect partners. Both are fleeting, never fixed, always subject to interpretation. Our identities are formed from memories, just as so many of our most enduring experiences are rooted in music. Hélène Grimaud wanted to explore the universal nature of memory, its place in the lives of us all. Memory, she explains, uses music to probe the many levels of human consciousness. 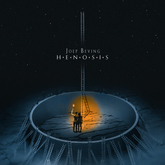 as she says, "… a sequence of crystalline miniatures capturing time". 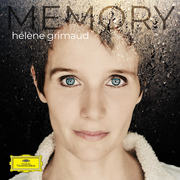 Pianist Hélène Grimaud is set to release her new album Memory on September 21th on Deutsche Grammophon. 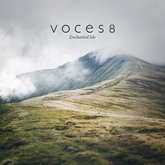 The album explores the nature of recollection through a series of exquisite pianistic miniatures, with a choice of repertoire embracing everything from impressionistic reveries by Chopin and Debussy to the timeless, folk-like melodies of Valentin Silvestrov. 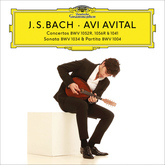 The French pianist's latest Deutsche Grammophon recording addresses music's unique ability to bring images of the past back to life in the present moment, to conjure up vivid evocations of time and place. Grimaud's challenging, eloquent artistry runs throughout Perspectives, a personal selection of highlights from her Deutsche Grammophon catalog that offers a strong flavor of the pianist's penetrating insights into landmarks of her instrument's repertoire. 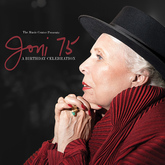 The double-disc album, scheduled for release on 7 April 2017, embraces the composers and compositions that have left the deepest impressions on her soul. It features both extracts from monumental concertos by such titans as Beethoven, Brahms and Bartók, and transcendent solo scores by Bach, Mozart and Chopin among others. 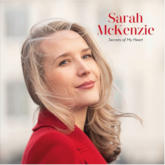 Each disc is rounded off by a delightful "encore" – Brahms's Waltz in A flat and Sgambati's arrangement of Gluck's "Dance of the Blessed Spirits," respectively – both pieces enjoying their first CD/streaming release on this album. 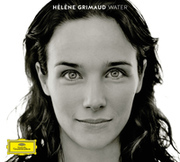 Hélène Grimaud's latest album for Deutsche Grammophon, produced by Nitin Sawhney, was inspired by her abiding fascination with Nature's most precious gift. 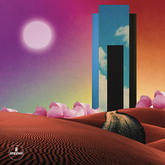 Water is set for worldwide release on February 5, 2016 and conveys imaginative responses to everything from mighty oceans and great lakes to raindrops and snowflakes as well as inviting listeners to contemplate the mounting threats to the safety, security and supply of this essential resource. With inimitable passion and spiritual dedication, Hélène Grimaud has climbed the Mount Everest of the romantic piano repertoire, performing The Brahms No. 1 and No. 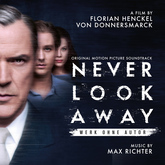 2 Piano Concertos with Andris Nelsons conducting which will be released as a dual disc by Deutsche Grammophon on September 30, 2013. 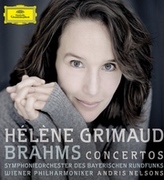 Believed to be the first woman pianist of the 21st century to release both the Brahms piano concertos, Grimaud recorded the Brahms Piano Concerto No. 1 in D minor, op. 15 live with the Symphonieorchester des Bayerischen Rundfunks (Bavarian Radio Symphony Orchestra) at Munich's Herkulessaal; and the Piano Concerto No. 2 in B-flat major, op. 83 with the Wiener Philharmoniker (Vienna Philharmonic) in Vienna's legendary Musikverein. It is Grimaud's first recording with the Vienna Philharmonic.